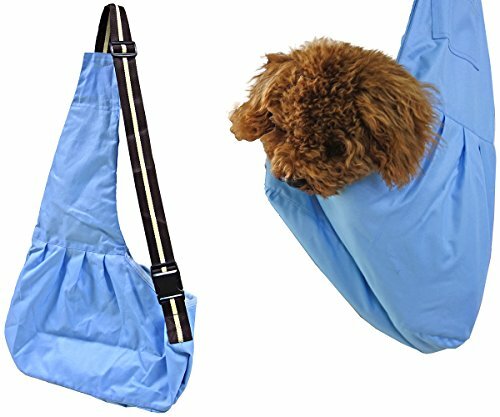 Made of Oxford cloth, soft interior, air mesh breathable and ventilate, small pocket attached on the strap to store the pet treats. Safety: Interior safety buckle to prevent the pet from jumping out, front packing protect the pet within sight. Ergonomic designed widen shoulder strap saving the effort, cozy and high capacity up to 6 kg.